As we reach the near end of March, many senior students will be preparing for their post-graduation plans. Suitably, many individuals will be hoping to continue their studies in graduate school or immediately working in their career fields. Obtaining a graduate school degree can increase the chances of getting a job as well as putting an individual better prepared for a specialized occupation, thus many students may opt to continue on with education. Among the stress of studying, a major health crisis exists in academia (Evans). It is no surprise that pursuing a graduate degree may be emotionally, mentally, and physically taxing. 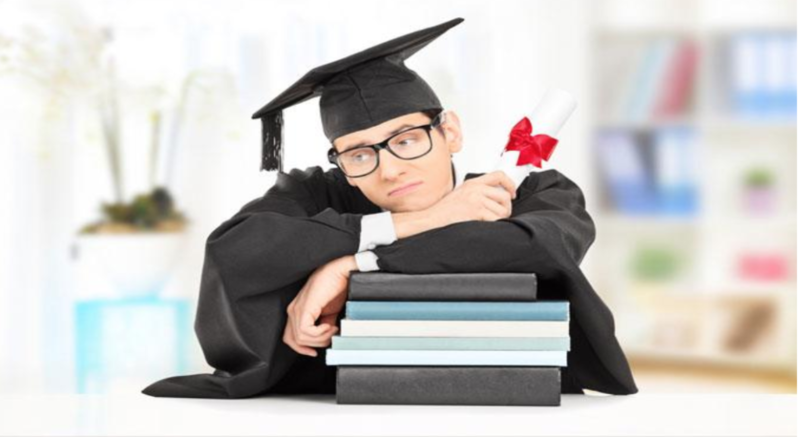 In fact, numerous graduate students experience depression during their graduate school career. Based on a study published in the Nature Biotechnology Journal, graduate students were found to be six times more susceptible of being diagnosed with depression (Evans). About 2,279 students were surveyed where about 41% showed severed anxiety and 39% showed symptoms of depression (Evans). Furthermore, based on a survey conducted at UC Berkeley, 45% of graduate students reported having emotional/stress related problems over the past year, with women being twice as likely as men to report these stressors (Djokic). There are many explanations as to the rise of depression among graduate students. Martin Seligman’s theory of “Learned Helplessness” proposes that when animals were faced with stress/punishment they were later found to have poor learning, low functionality, and lower levels of serotonin, correlating to depression. Much is explained in the animal’s lack of control and feeling of helplessness when faced with stress. Another theory, known as “Social Competition Model of Depression,” is coined by Paul Gilbert, who claims that animals when facing stress, lose motivation to either struggle or win. In many ways, graduate students demonstrate this “Learned Helplessness” and “Involuntary Defeat”. Furthermore, students may fall under a lot of stress and lack of motivation, leading them to develop depression. There are various ways to deal with depression in graduate school. One of the first steps includes getting diagnosed and finding the right treatment. It is vital to understand the environment and expectations of one’s department and advisor and seek support when needed. There are people out there who care; in your department, your university, and in your life.